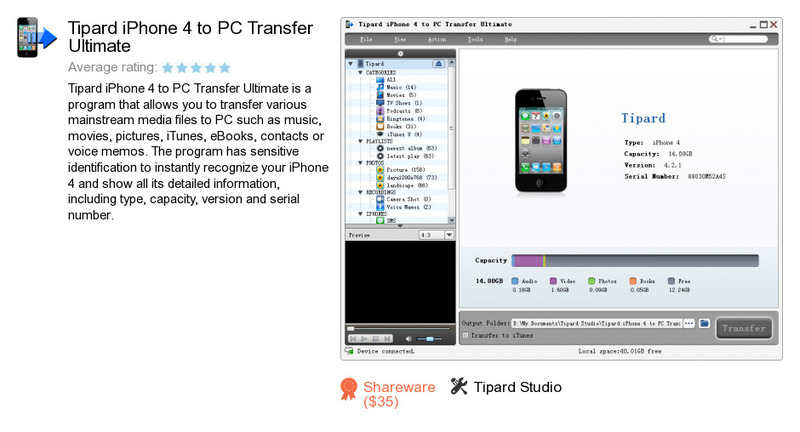 Tipard iPhone 4 to PC Transfer Ultimate is a program developed by Tipard Studio. We know of versions 6.1, 5.1. Version 6.1.10 is downloadable at our site. Tipard iPhone 4 to PC Transfer Ultimate installation package has a size of 31,660,482 bytes. Tipard Studio also publishes Tipard iPhone to PC Transfer Ultimate and Tipard PDF Converter Platinum.